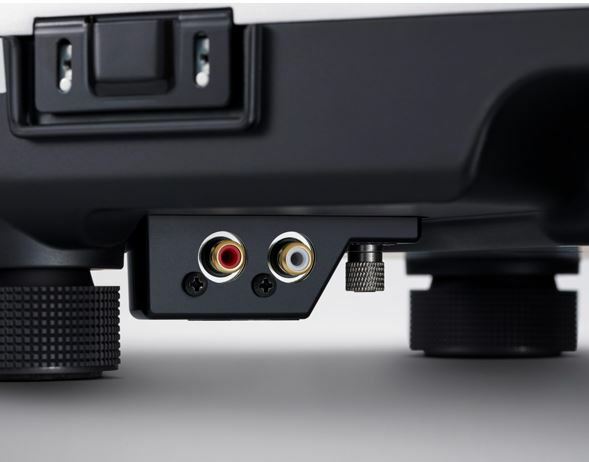 We suggest the Ortofon 2M Bronze as a starting point for the cartridge, and the Lehmann Audio Black Cube Phono stage. These are a great combination and sound superb. 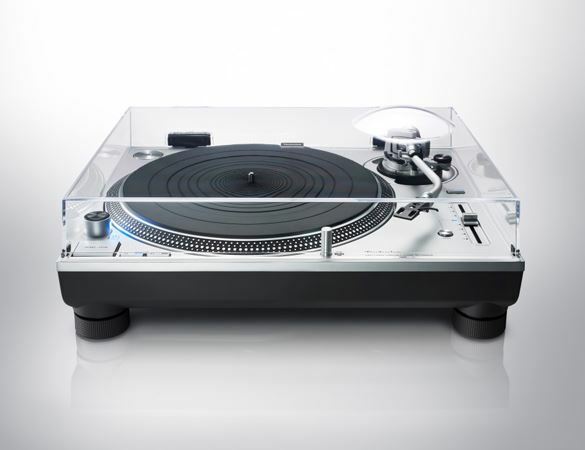 See Options to buy the turntable with these. 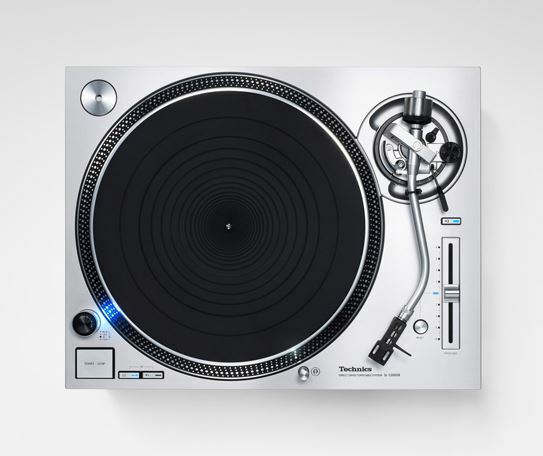 Launched in 2016, the Technics SL-1200G combined traditional analogue technology and advanced digital technology, while redesigning parts throughout. 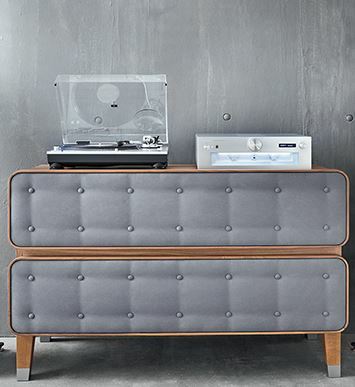 Its outstanding performance literally rocked the hi-fi market and redefined the reference for direct-drive turntables. 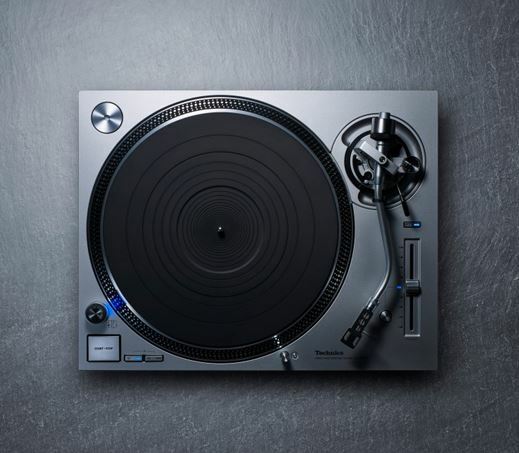 Parts that were inherited from the SL-1200G were newly developed for the Technics SL-1200GR, beginning with the coreless direct-drive motor and precise motor control technology that eliminated the cogging that originated from rotation irregularity, and including a low-vibration, high-rigidity platter and high-sensitivity tonearm. By these measures, the level of performance clearly outperforms the usual standards of its class. 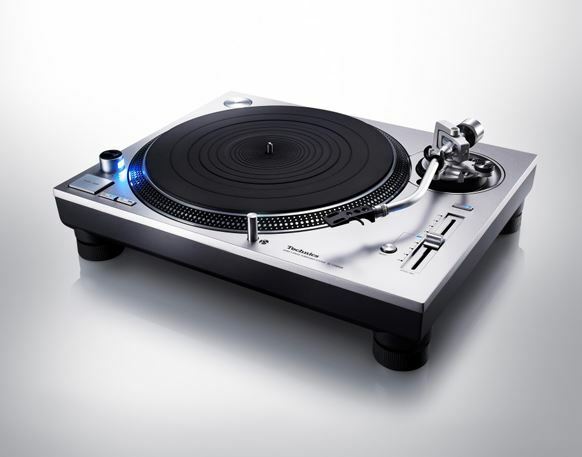 The Technics SL-1200GR invites more audio enthusiasts to enjoy music with the rich, robust sound of analogue records. And in 2016, Technics developed the twin-rotor, surface-facing, coreless direct-drive motor with rotor magnets placed on both sides, thereby eliminating the rotation irregularity of the motor, referred to as “cogging,” which was a unique issue for direct-drive systems. This motor was adopted for the SL-1200G, which once again drew a significant response in the hi-fi market. 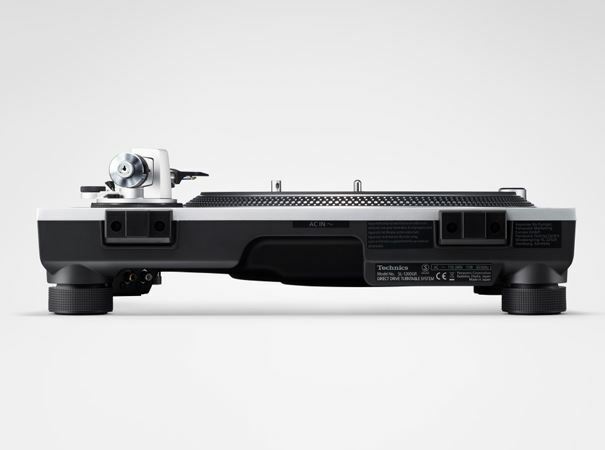 The Technics SL-1200GR inherits the same design philosophy with the new development of a single-rotor, surface-facing, coreless direct-drive motor, resulting in the elimination of cogging. The rotation control, which verifies and corrects the precision of the motor, uses the latest motor control technology cultivated in the development of Blu-ray disc devices, just as that used by the SL-1200G. Sine waves stored in ROM are used for the control waveforms at constant speed, and this achieves smoother and more stable rotation compared with using the simple sine wave generation with an external coil as in the conventional SL-1200MK5. 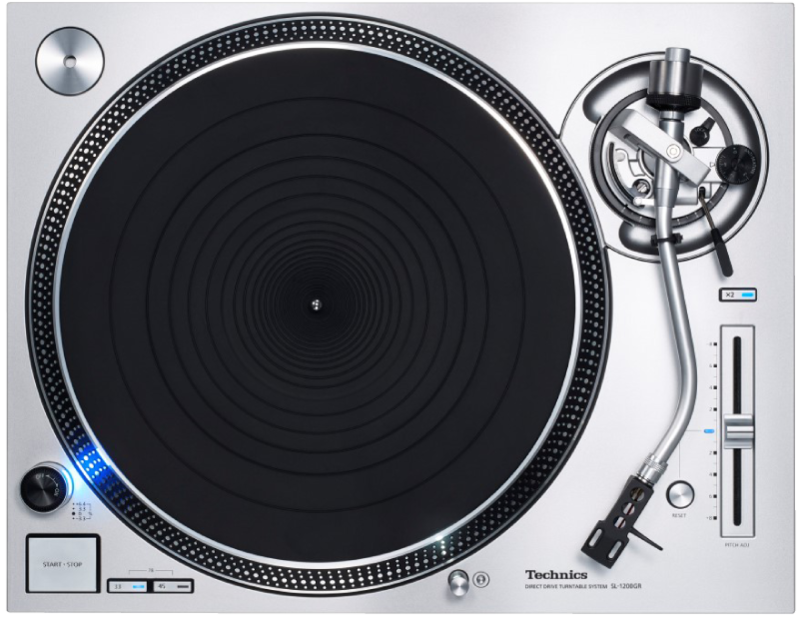 In addition, the electrical circuitry has had tuning performed so that the newly developed motor of the Technics SL-1200GR achieves maximum performance. The starting torque achieves 2.2 kg x cm with only a single rotor. The same startup time of 0.7 s (at 33 1/3 rpm) as the SL-1200G has been achieved. To increase the inertial mass and reduce vibration, the shape of the aluminium die-cast portion was optimized by simulation. 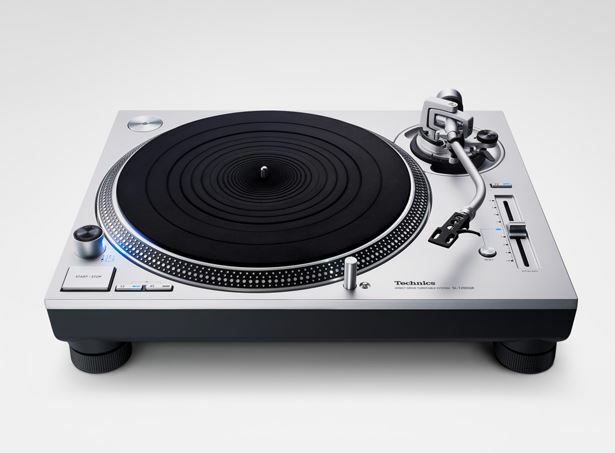 At 2.5 kg (including the rubber mat), the Technics SL-1200GR platter is 0.8 kg heavier than that of the previous SL-1200MK5. Also, the back surface of the platter has strengthening ribs added to improve rigidity. 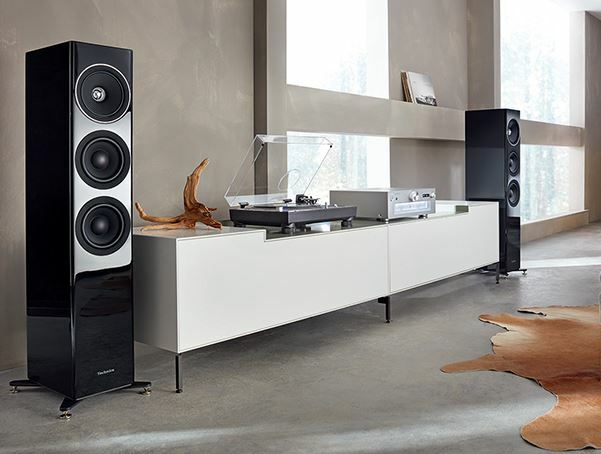 Increasing the surface area of contact with the deadening rubber achieves damping characteristics that are more than twice those of the SL-1200MK5. 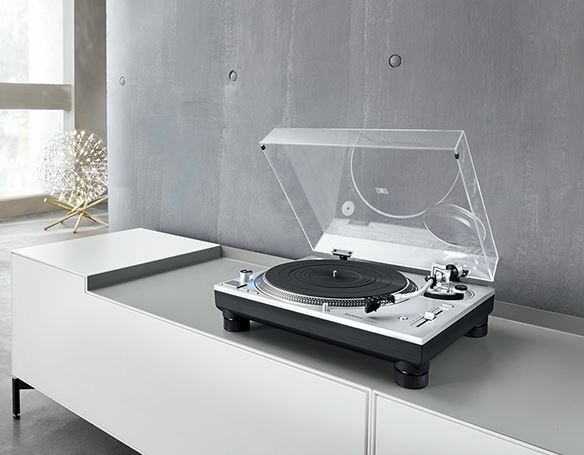 The Technics SL-1200GR ensures high rigidity by using a body with a two-layered construction solidly unifying the BMC and the aluminium die-cast chassis. 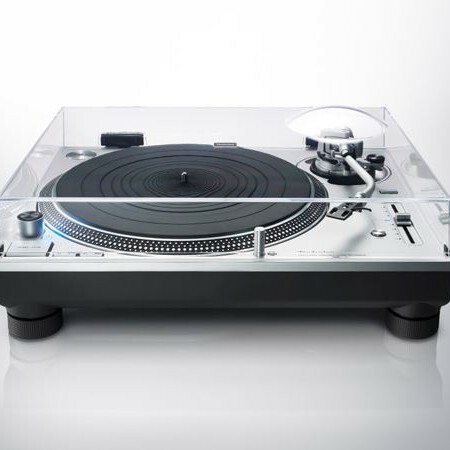 For the insulators supporting the body, as with the SL-1200G, the Technics SL-1200GR uses special silicon rubber that ensures both high vibration damping characteristics and long-term reliability. Vibration in the horizontal direction is absorbed by reinforcement with cylindrical tubes using microcell polymers. 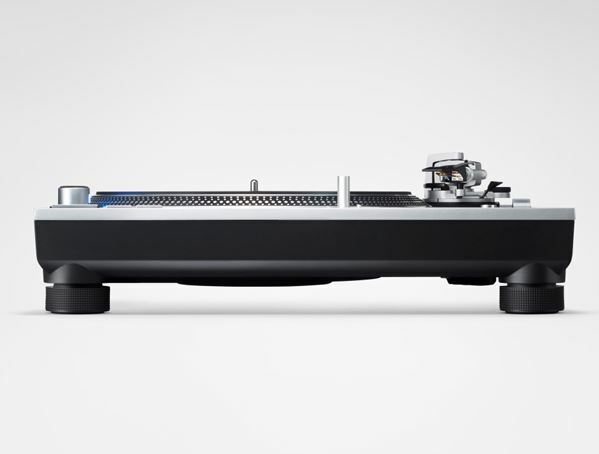 While inheriting the technology of the SL-1200G, the insulators have had tuning performed specifically for the Technics SL-1200GR.